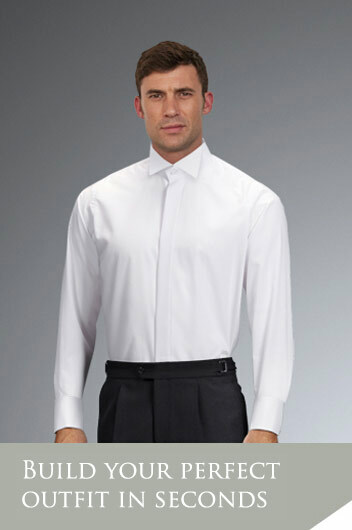 Save styles you like to your Wardrobe for later. 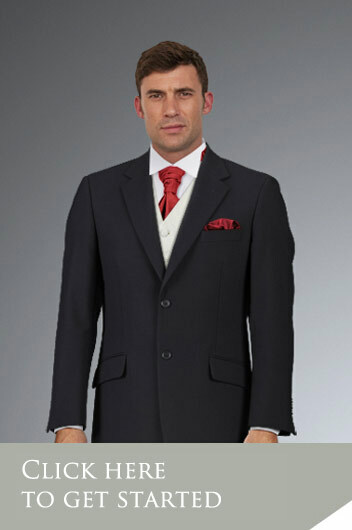 Once you've chosen your favourite, you can find your local store and arrange to drop in for a sales consultation! 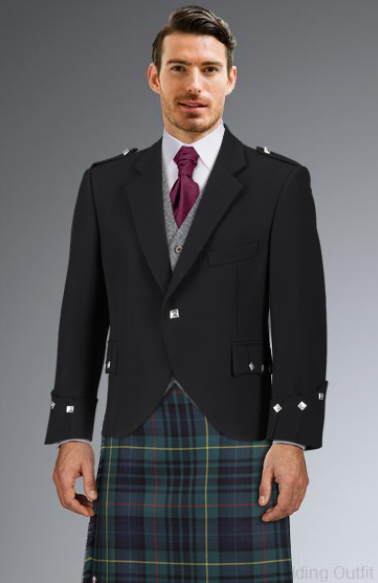 To build your outfit you'll need to choose your kilt, jacket, neckwear, and waistcoat. 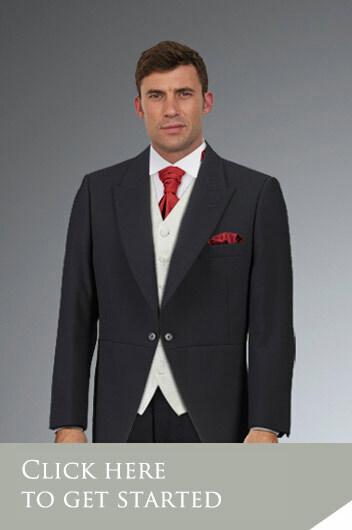 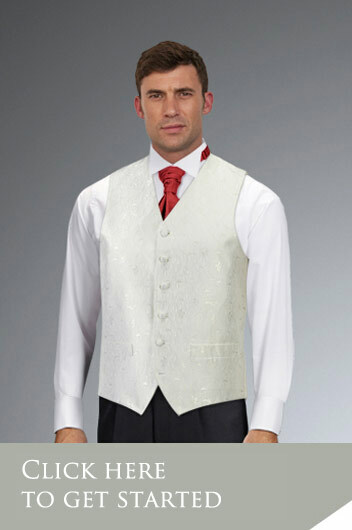 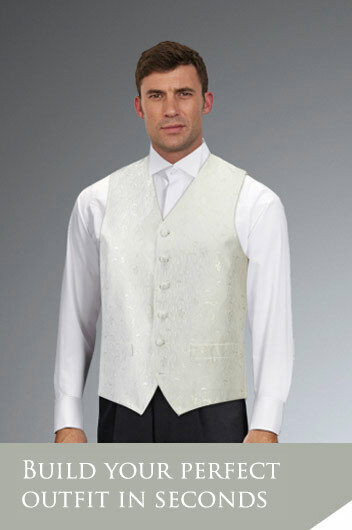 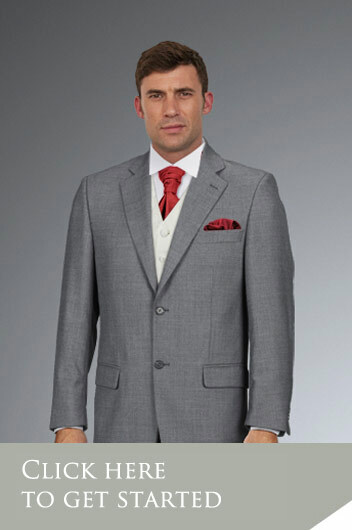 When you select a jacket, we'll match the waistcoat for you, or give you a choice if it's available. You can match your neckwear to the bridesmaids or theme of the wedding. 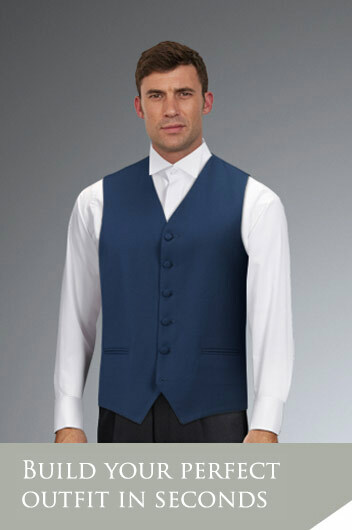 Use the colour and style filters to help you choose!